This clinic is being run by two experienced Nepali doctors(Mr. Amit Kumar Gupta, Mrs. Sanjukta Gupta )graduated in Bachelor of Homeopathic Medicine & Surgery from the University of Calcutta, India. 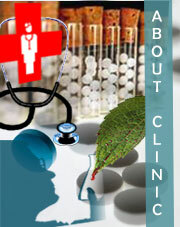 Pure and only Homeopathic Treatment is done in this clinic along with usual health tips and advices. Homeopathic treatment is done for all types of acute, chronic and complicated diseases for elderly, children, female and male. We follow the highest ideal of cure, which is rapid, gentle and permanent restoration of the health, or removal and annihilation of disease in its whole extent, in the shortest, most reliable and most harmless way.